Netizen Report: Sci-fi surveillance in Argentina, anti-leaking laws in Japan, and more. The Netizen Report originally appears each week on Global Voices Advocacy. This report was written by Hae-in Lim, Lisa Ferguson, Bojan Perkov, Ellery Roberts Biddle, and Sarah Myers. In Japan, the cabinet of Prime Minister Shinzo Abe approved a bill that provides special penalties for leakers of sensitive information that could harm national security. Public response to the Secret Information Protection Act has been generally negative—according to Global Voices’ Keiko Tanaka, of the 90,480 public comments submitted in a two-week span in early September, 69,579 were against the bill. The bill must be approved by Parliament before passing. A young Saudi writer, detained on blasphemy charges in 2011, was released from prison. Hamza Kashgari was charged after tweeting an imaginary conversation between himself and the Prophet Mohammed. At the time of his arrest, Index on Censorship described the conversation as reflecting “admiration, reproach and confusion” regarding the religious figure. Prior to his arrest, Kashgari had used Twitter to comment on gender inequality and the lack of political rights in Saudi Arabia. A U.S. district court ruled that criminal suspects who self-identify as “hackers” can be subject to the search and seizure of their electronic devices without warning. The judge ruled that because “hackers” are able to wipe sensitive data from their machines, prior notice could result in suspects erasing or destroying information before seizure can take place. 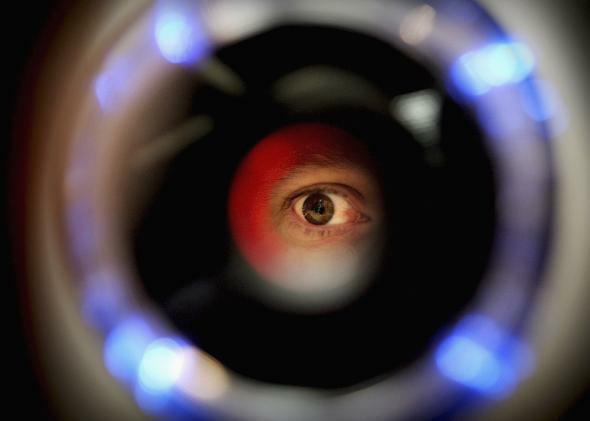 The Argentine government is launching a biometric information database that will allow officials to identify individuals by their photographs, fingerprints, iris information, and even the way they walk. Human rights lawyer Ramiro Ávarez Ugarte warns that the country has a “chronic lack of control” over its intelligence agencies, and calls for these surveillance practices to change. German officials expressed outrage last week after leaked documents indicated that the NSA had monitored Chancellor Angela Merkel’s mobile phone. The nature of the monitoring, and whether it extended to eavesdropping on phone calls, remains unclear. On Oct. 25, Merkel and French President Francois Hollande announced a plan to propose new trans-Atlantic rules on surveillance and intelligence-gathering practices. Thousands of people gathered in front of the U.S. Capitol to demonstrate against the NSA and its mass surveillance programs. Protesters delivered a petition signed by more than 500,000 people from all over the United States, demanding reforms. A statement on behalf of whistle-blower Edward Snowden was read during the event. Italy’s Electronic Communications Authority drafted new regulations that would allow the agency to remove online content that it deems a violation of copyright law without the need for court approval. NGOs, Internet service providers, and consumer groups have banded together in their criticism of the legislation, which is currently awaiting approval from the EU. At the Google Ideas summit, the company unveiled two new services intended to aid users in bypassing online censorship. The first, uProxy, enables encrypted peer-to-peer sharing of Internet connections. While some net freedom activists praised it, others remain concerned about the security of the service. The second initiative, Project Shield, will aid news organizations and human rights groups by helping protect them from cyberattacks. Both services are currently running on a trial basis. The use of social media platforms like Facebook and Twitter by Iranian officials has led many to wonder whether Internet policy will change under Iran’s new administration. While the digital presence of officials like President Hassan Rouhani and Foreign Minister Javad Zarif enables them to communicate more directly with those who use the services, many have questioned their use of tools that are inaccessible for Iranian citizens. In a recent Advox article, ASL19’s Mahsa Alimardani calls on the government to lift blocks on social media services in Iran. Google has launched a Digital Attack Map, which allows users to visualize DDoS attacks occurring worldwide in real time. Q3 Global DDoS Attack Trends Data—Arbor Networks Inc.